Searching for Window Cleaning in Keswick? Keswick offers a lot to do. There is always something going on that the family can enjoy while homeowners spend a lot of time outdoors trying to spruce up their exteriors. If you want to take advantage of the services of Cavalier Window Cleaning & Power Washing; call to schedule an appointment. Part of who we are; gutter experts. Your gutters are important and we want to keep them remaining important. Your roof needs gutters in order to filter the water off the roof and provide continuous protection from harmful weather. Most people start with a gutter cleaning. Cleaning the gutters will help protect your roof better and eliminate the build-up of pine needles and honeycombs that have accumulated in it since it has last been cleaned. You’ll be able to avoid costly water damages. A clogged gutter and downspouts do not allow water to flow off of the roof properly. If it cannot flow off the roof then it remains and destroys the roof causing lots of damages. Water always takes the path of the least resistance. It could damage your siding, trim and interior of your home. A damaged downspout, in colder climates, can slow down the melting process and increase the risk of an ice dam. If you’re trying to brighten up your home, there is a less expensive way of doing so. Getting the windows to look good without any streaks is the trick and that’s why you need a professional cleaning outfit. We have the right tools and equipment to perform the job right. For a more effective window cleaning; you can call in the professionals from Cavalier Window Cleaning & Power Washing and have your windows so clean and clear that you won’t even know they are opened or closed. Injuries can result from trying to do power washing on your own. Many people underestimate the power of a pressure washing machine as fatal injuries have resulted from those who had not taken the time to learn. Serious injuries from a pressure washer have included: abrasions, slip & falls, blindness and high-pressure injection. 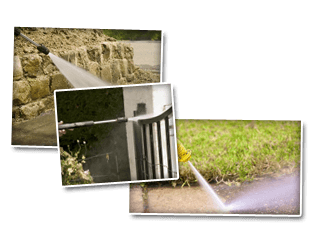 If you’re looking to avoid getting hurt; you can always set your sights on expert pressure washing from Cavalier Window Cleaning & Power Washing. In order to get the best results from our window cleaning as well as pressure washing serives; you should call our team as it’s a winning team. Call today and check out all that we can do for your home or business. If you are looking for a Keswick window cleaning & Power Washing Company then please call 434-823-1737 or complete our online request form.